Run! It’s the ghost of Anne Brontë! As if one typo in a grave is bad enough, imagine five. FIVE! 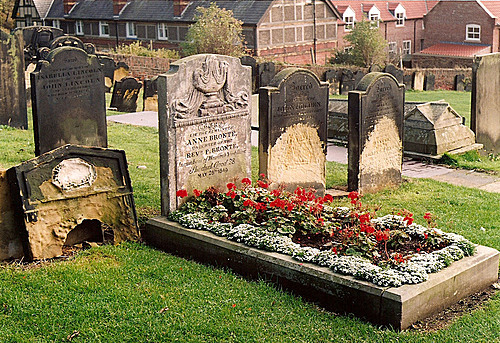 When Charlotte Brontë went to see her sister’s grave in St Mary’s churchyard, Scarborough, she ordered it to be refaced, and even then, the mason left the error of her age. Idiot! And today, is her 195th birthday. Happy birthday, Anne! In recent years, a commemorative slab was put on her grave, which helpfully points out the remaining mistake. Anne was compared to Cinderella, the more patient, quieter, more pious of her sisters. I hope so, as otherwise if she can see the incompetence surrounding her grave, she’d rain down all kinds of thunder and restless hauntings on incompetent stone masons and their descendents. 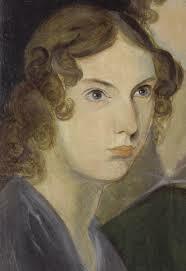 I first read The Tenant Of Wildfell Hall when I was twenty three, the weather was scorching, and I was hugely pregnant. My feet were like balloons full of blancmange, and I wanted to dunk them in the sea, so I drove the ninety miles from Halifax to Scarborough, went to see Anne’s grave, then rolled up the legs of my maternity dungarees and stood in the shallow water, throwing chips to seagulls. The Tenant is a strange book. It starts out as letters, a format which seems to quickly become forgotten due to the unrealistic length of these letters, and then becomes a diary. It has been said Anne understood men more than her sisters, and viewed them with a more honest eye, which is why Gilbert Markham is nice. Not perfect, but loves his mum, is kind to his siblings, and obviously a good match, whereas the alcoholic Huntington is the one we should all be boo-ing at. Anne nursed her alcoholic, laudanum-addicted and beloved brother Branwell, and it’s as if she cut Branwell in half to make these two men. Anne may have been kinder to men, appreciated the gentler aspects we don’t see so much with her sister’s male characters, such as Mr Rochester and Heathcliff, but there are some times when Gilbert breaks the spell in his first person narration. He’s a time-pressed farmer in his twenties, and yet his description often turns a little bit girly. She took up the cambric handkerchief she had been beautifying with a deep lace border. In case you’re wondering. I googled it, and Berlin woolwork is wool on canvas, similar to tapestry. And while I’m sure there were and are some men who notice embroidery, I’m not sure how many would mention it in letters to their friends. However, with all the sister’s work, I often wonder what they would have produced, had they managed to keep body and soul together a little longer. Not many writers are knocking out great works in their twenties, it’s amazing what they did produce, but another twenty years could have seen enormous literary achievements. Anne, from a portrait by her brother, Branwell. Anne died of tuberculosis, as did her sisters Maria, Elizabeth, Emily, and brother Branwell. Her mother died of ovarian cancer when Anne was just a toddler. Her sister Charlotte, the longest living of all the siblings, died of severe morning sickness, and the weakness, dehydration and malnutrition that brought. 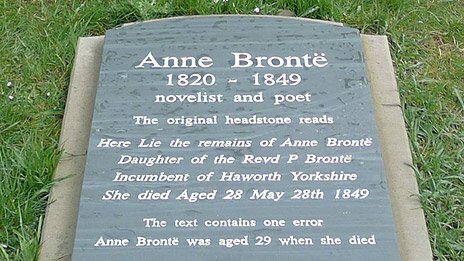 Poor Patrick Brontë outlived the all of them. That is a lot of loved ones to bury, and so depressing if it were fiction, I’d assume Thomas Hardy had a hand in it. ← Zola. If anyone knew how to combine lust and public transport, it was him. Wow, I did not know that! I love the idea of the ghost of Anne Bronte eternally harassing stone masons for their incompetency. Is it just me or does that portrait look just a shade like Taylor Swift? Maybe she got bored torturing stone masons and decided to take it out on the rest of us through the medium of song. That makes perfect sense. Anne would indeed try out many men and toss them aside rather than permanently attaching herself to one, (and then write a song about them). She has learned from her characters, marry in haste, repent for-bloody-ever. She might haunt you Lucy with a comment like that. She believed in Marriage with all her heart, she just never got the chance.